A post-apocalyptic genetic engineering thriller? I couldn’t wait to get my hands on this book, and it far exceeded my expectations. I’m a little bit of a science geek, so all the talk of DNA sequencing, gene mutation, and computer coding had me doing a happy dance. Given, none of this is possible in the present, (to my knowledge), but it sure makes for a riveting story, and is explained in understandable terms. I’ve read quite a few post-apocalyptic novels, and several times while reading this book was on the verge of disappointment, certain I knew the often traveled path this plot was taking. 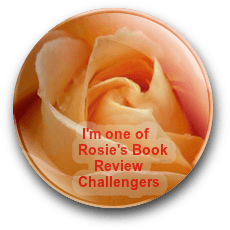 I was overjoyed when it veered off into new directions, cheering with the numerous twists and surprises. Early on, I caught a whiff of the dreaded YA love triangle, but trust me when I say that’s not what develops. Yes, there’s romance, but it’s far from the primary focus. 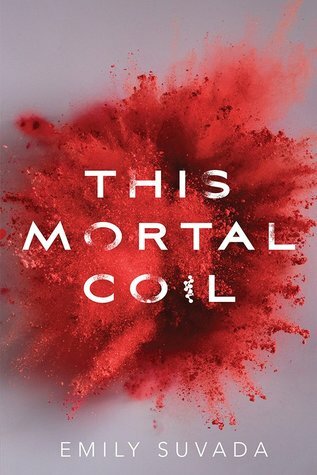 This Mortal Coil is a complex, intelligent, intricately-plotted novel combining post-apocalyptic, thriller, and science genres, and is at the top of my favorite YA reads this year. I’ll definitely continue with this series. Sounds intriguing… hacking into genes and manipulating DNA. Pretty cool! Gets my brain spinning in all kinds of directions, Staci. Could be a Michael Crichton type read for the YA audience. I’m intrigued. That’s a great comp, Mae. Always loved his books because of the science/sci-fi. Super, thoughtful review, Teri. Sounds very interesting. Thanks, John! Hated to put this one down. Sounds like it may be good research for something I’m going to be writing soon. Well – you know I’ll need to be reading that, Craig. Maybe you should take a look at this book – released yesterday. I’ll add it to the list, but it may take a while. Great review! I really loved this book, too. Thanks! Can’t wait to get my hands on the next one. Hi Teri. I appreciate this mindful review. Who could resist a post-apocalyptic genetic engineering thriller? 😀 Hugs on the wing! Not me, obviously. Hugs, Teagan! The dreaded YA love triangle! Run for your lives. I’m so glad that didn’t happen, Teri. The book sounds great and Cat and Cole interesting characters. I like all the pseudo-science too, and who knows what we’ll see in our lifetimes. Thanks for the recommendation. It was a relief to me also, Diana. I prefer when the focus is on other things – like gene hacking and coding. Far more interesting. Yes. That sounds very cool! This sounds great, Teri. I like books with genetic engineering in them too. Always a fascinating topic for me. 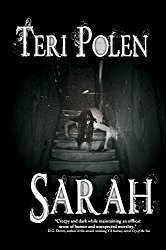 Definitely add this one, Sarah – if you knew what that cover represents, you might not swoon. Swooning over. Still…it’s a gorgeous cover. And, yes, I’m adding it. Thanks, AGAIN…half my pile is recs from you. Amazing review! I am glad you loved it like I did! I need book 2 already! Soooo good! Would read book 2 straight through in a day if I had it. I know!! I need it, like now. Lol. Lovely review and spot on! With the advance of the Crispr technology the author’s plot isn’t too far fetched either. Thanks, Clemens! Just looked up Crispr tech – and you’re right! Fascinating.